NTSC/Region 1. 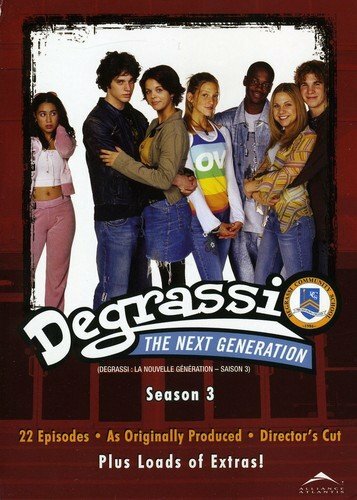 Three DVD set containing the first season of the Canadian television show about the lives of students at Degrassi Community School. Degrassi: The Next Generation is the fourth series in the Degrassi franchise, following the Kids of Degrassi Street, Degrassi Junior High, and Degrassi High. It's a brave new world, as Degrassi: The Next Generation introduces a whole new generation going through the trials and tribulations of adolescence, as they journey through junior high school. There, the students encounter the same pressures, temptations, challenges and issues that their parents' generation did. These kids may be more media savvy and more articulate than their parents, but not necessarily more sophisticated. Enjoy Degrassi: The Next Generation like never before with 15 Director's Cut Episodes, Degrassi Karaoke, Degrassi photo album, character descriptions, cast biographies, deleted scenes, bloopers, original television promos and more. NTSC/Region 1. 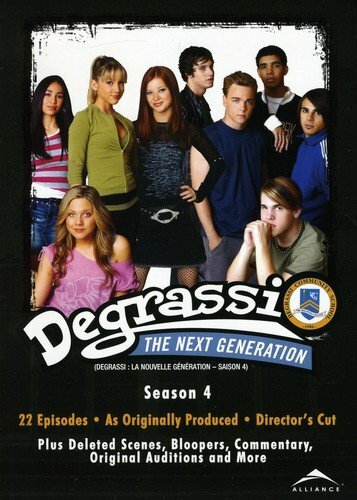 Four DVD set containing the fourth season of the Canadian television show about the lives of students at Degrassi Community School. Degrassi: The Next Generation is the fourth series in the Degrassi franchise, following the Kids of Degrassi Street, Degrassi Junior High, and Degrassi High. It's a brave new world, as Degrassi: The Next Generation introduces a whole new generation going through the trials and tribulations of adolescence, as they journey through junior high school. There, the students encounter the same pressures, temptations, challenges and issues that their parents' generation did. These kids may be more media savvy and more articulate than their parents, but not necessarily more sophisticated. Enjoy Degrassi: The Next Generation like never before with Director's Cut Episodes, Degrassi Karaoke, Degrassi photo album, character descriptions, cast biographies, deleted scenes, bloopers and more. NTSC/Region 1. 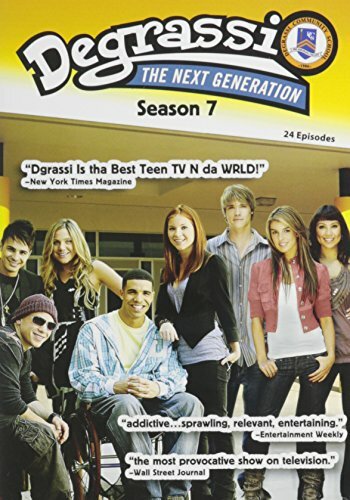 Four DVD set containing the sixth season of the Canadian television show about the lives of students at Degrassi Community School. Degrassi: The Next Generation is the fourth series in the Degrassi franchise, following the Kids of Degrassi Street, Degrassi Junior High, and Degrassi High. It's a brave new world, as Degrassi: The Next Generation introduces a whole new generation going through the trials and tribulations of adolescence, as they journey through junior high school. There, the students encounter the same pressures, temptations, challenges and issues that their parents' generation did. These kids may be more media savvy and more articulate than their parents, but not necessarily more sophisticated. Enjoy Degrassi: The Next Generation like never before with Director's Cut Episodes, Degrassi Karaoke, Degrassi photo album, character descriptions, cast biographies, deleted scenes, bloopers and more. NTSC/Region 1. 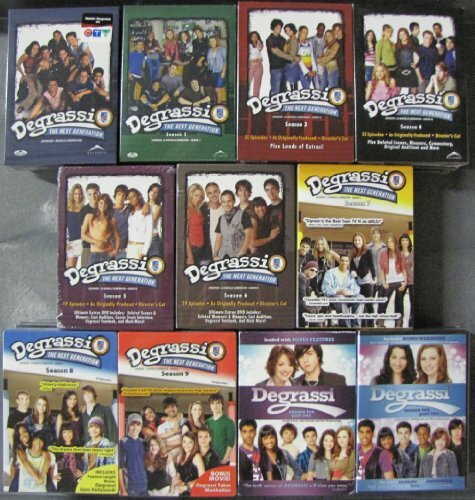 Four DVD set containing the fifth season of the Canadian television show about the lives of students at Degrassi Community School. Degrassi: The Next Generation is the fourth series in the Degrassi franchise, following The Kids Of Degrassi Street, Degrassi Junior High, and Degrassi High. 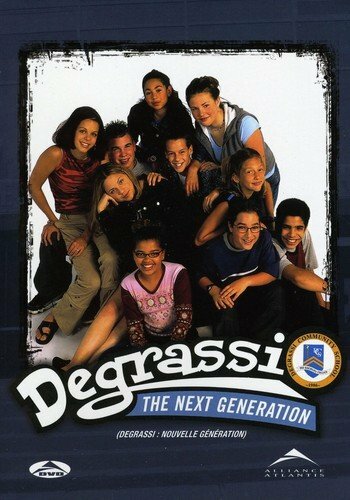 It's a brave new world, as Degrassi: The Next Generation introduces a whole new generation going through the trials and tribulations of adolescence, as they journey through junior high school. There, the students encounter the same pressures, temptations, challenges and issues that their parents' generation did. These kids may be more media savvy and more articulate than their parents, but not necessarily more sophisticated. 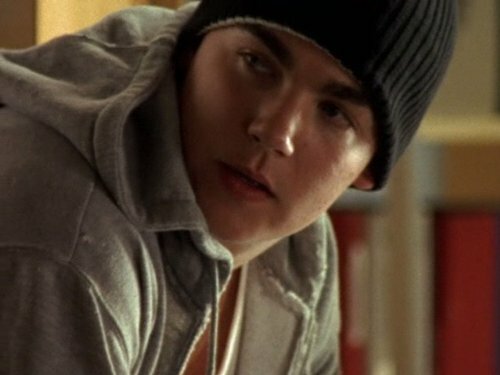 Enjoy Degrassi: The Next Generation like never before with Director's Cut Episodes, Degrassi Karaoke, Degrassi photo album, character descriptions, cast biographies, deleted scenes, bloopers and more. NTSC/Region 1. 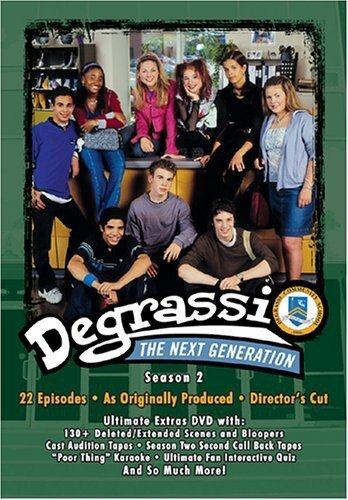 Four DVD set containing the second season of the Canadian television show about the lives of students at Degrassi Community School. Degrassi: The Next Generation is the fourth series in the Degrassi franchise, following the Kids of Degrassi Street, Degrassi Junior High, and Degrassi High. It's a brave new world, as Degrassi: The Next Generation introduces a whole new generation going through the trials and tribulations of adolescence, as they journey through junior high school. There, the students encounter the same pressures, temptations, challenges and issues that their parents' generation did. These kids may be more media savvy and more articulate than their parents, but not necessarily more sophisticated. 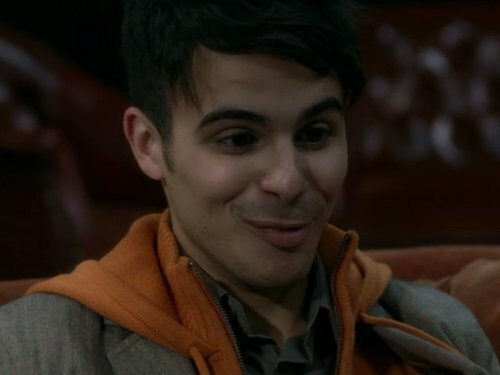 Enjoy Degrassi: The Next Generation like never before. 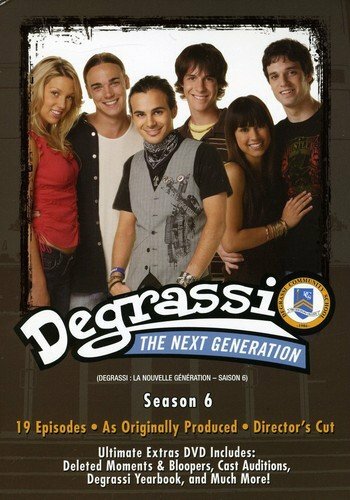 Compare prices on Degrassi Next Generation Seasons at ShoppinGent.com – use promo codes and coupons for best offers and deals. Start smart buying with ShoppinGent.com right now and choose your golden price on every purchase.